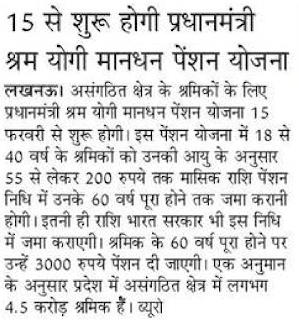 UP Shram Yogi Mandhan Pension Yojana Hello Friends if you wants to take Pension PER MONTH 3,000 TO 10,000 Mahina than Shram Yogi Mandhan Pension yojana is best for you because on current time you had to pay Rs 55 from 18 years age limit to Rs 200 for 40 years age Limit. We are here to discuss matter about below question and answer on pm shram yogi mandhan pension yojana. 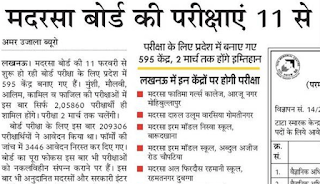 UP Madarsa Board Admit Card 2019 we are inviting you to download madarsa admit card from leading school where you study. Madarsa board teaching related to urdu Education and recently madarsa board will changed into madarsa model school where you may study Technology, science, Arts Stream.